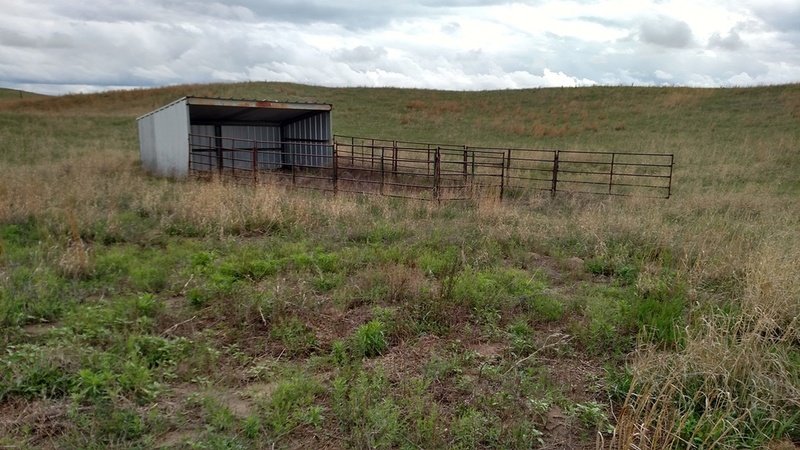 LAND USE: Currently used as sandhills grazing, but has great potential for rural residential living. Stock water is providedby a windmill. There is also a lean-to on the property. SUMMARY: This property has tremendous views of the Platte River valley. There are several places for a walk out basement to your new home. Inspection is by appointment only, please. North of North Platte, NE in the Weaver Heights area. 4 Miles off of Highway 97, via North Johnson Road, then east on West Weaver Hills Road, then south on North Weaver Hills Road to access easement. 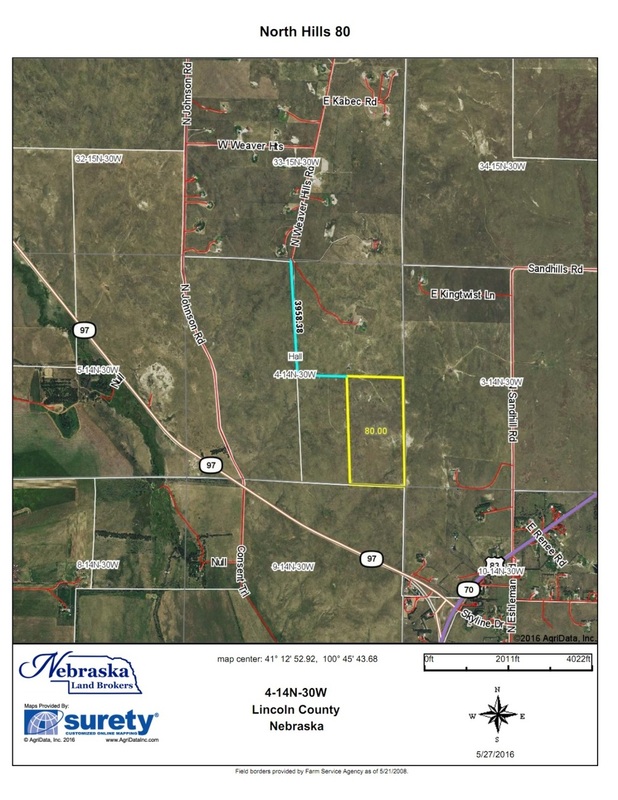 LEGAL DESCRIPTION: Section 4: E1/2SE1/4 - T14N – R30W of the 6th P.M., Lincoln County, Nebraska.